When we moved to our new home in San Antonio almost one year ago this guest bedroom was one of the things I was most excited about. 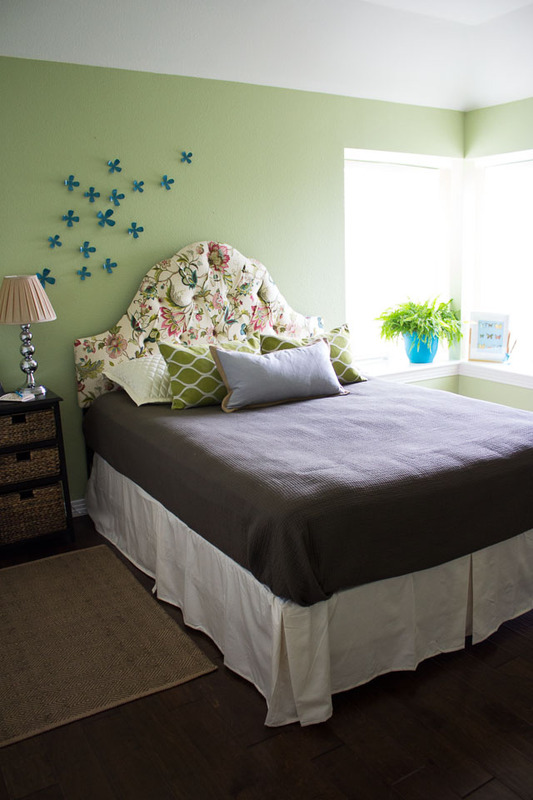 No more having our guests sleep on an air mattress or the couch – we could provide them with a real retreat! 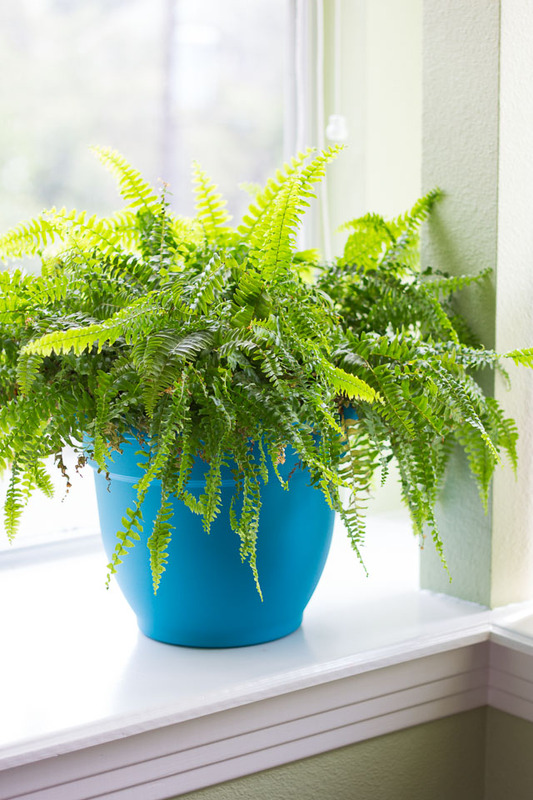 I wanted the room to have a special spa-like feel with lots of natural elements. 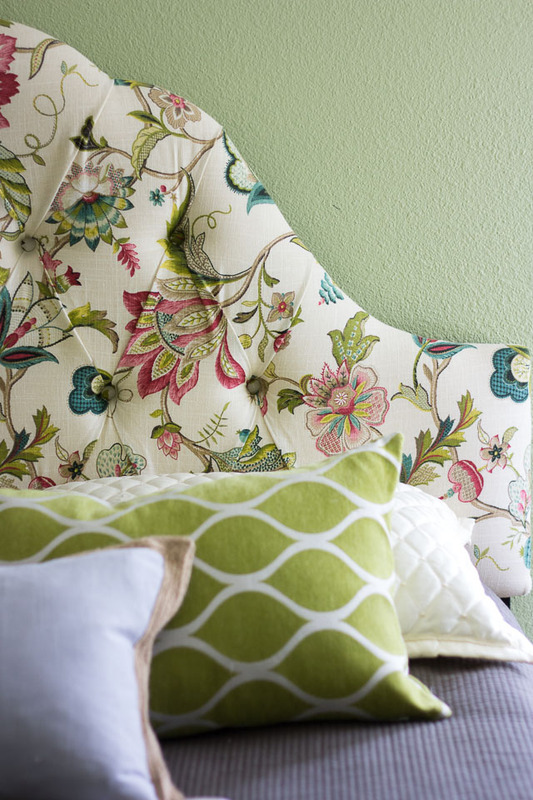 When I saw this beautiful upholstered headboard at Home Decorators Collection I knew it was the perfect focal piece – its color palette and floral pattern served as inspiration for the rest of the room. I think an upholstered headboard is such a great alternative to a full bed – it’s often considerably less expensive, but can be more unique. 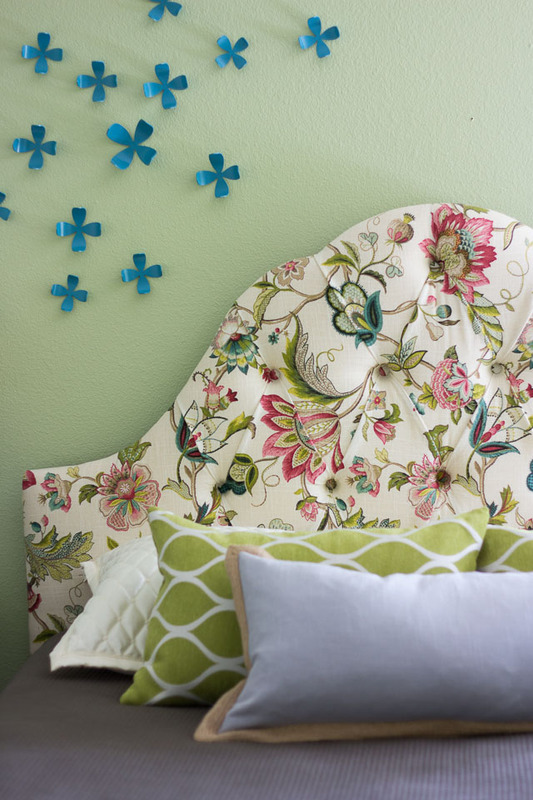 A headboard with a gorgeous pattern like this does double duty as a piece of art in the room. 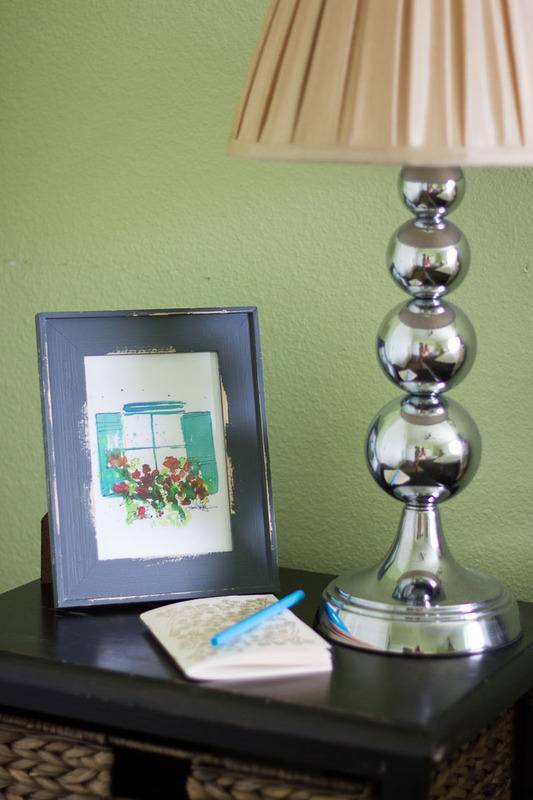 You can pair it with simple neutral bedding and accents. 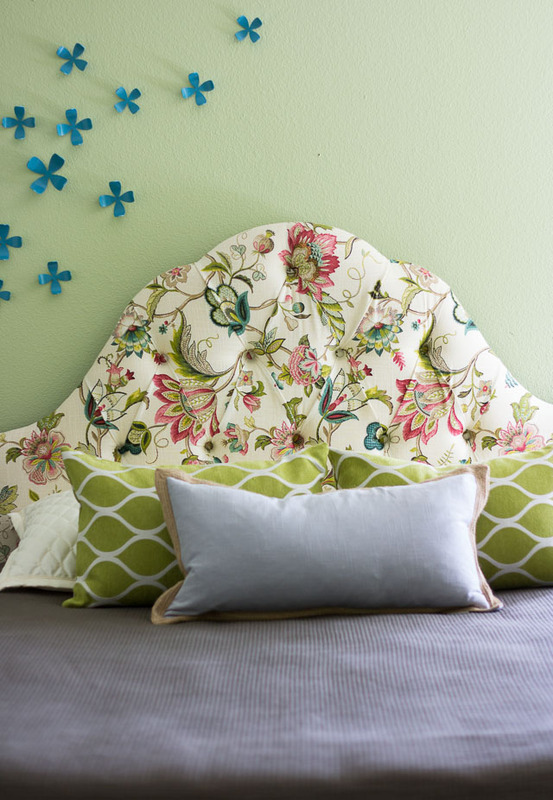 Home Decorators has nearly 50 fabric options for each of its upholstered headboards. The headboard and mattress were the only pieces of furniture we purchased for the guest room. 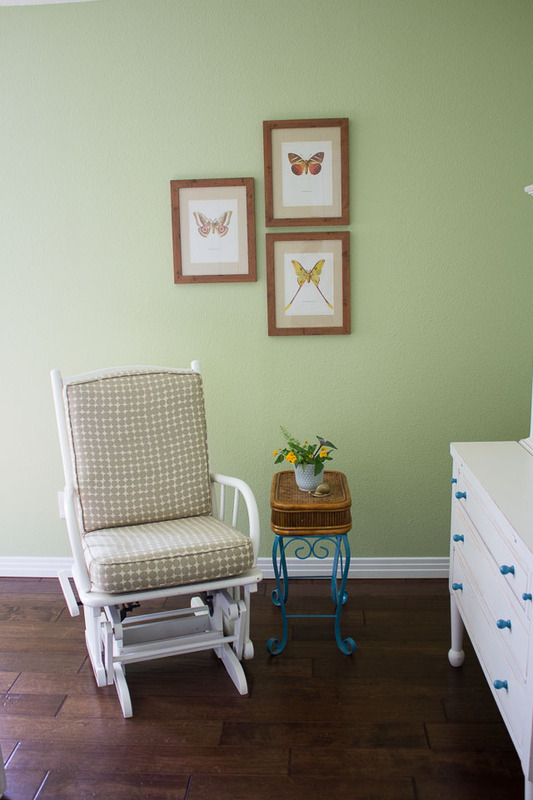 We were able to repurpose other pieces from our Chicago condo in new ways, such as this rocking chair that used to be in the nursery and the little side table, which was one of my first post-college purchases over 10 years ago! 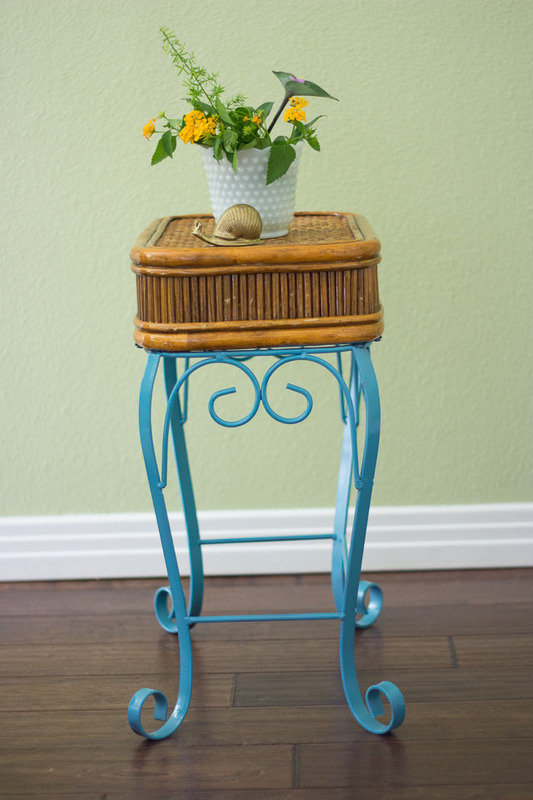 I gave the table a quick update with a fresh coat of blue spray paint on its previously wrought iron legs. 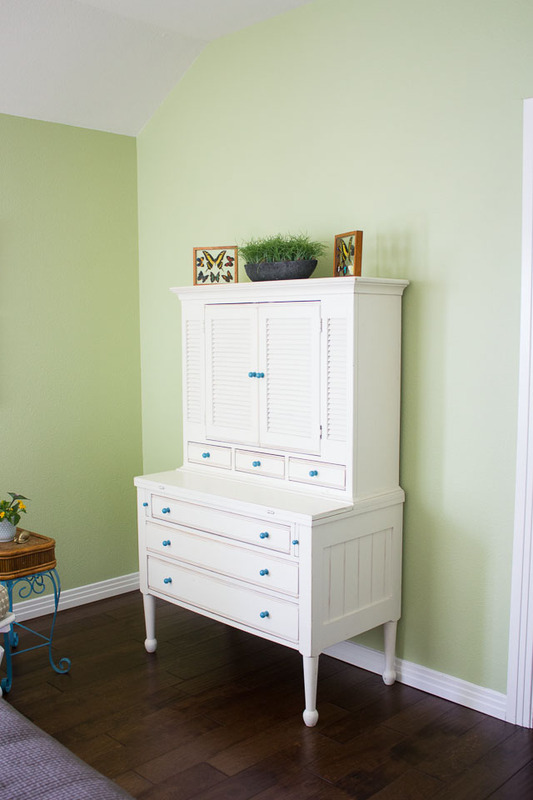 This secretary was a Craigslist find that we used as a desk in our master bedroom in Chicago. I eventually would like to put a little TV in there for our guests. I spray painted the knobs to add another pop of blue to the room. 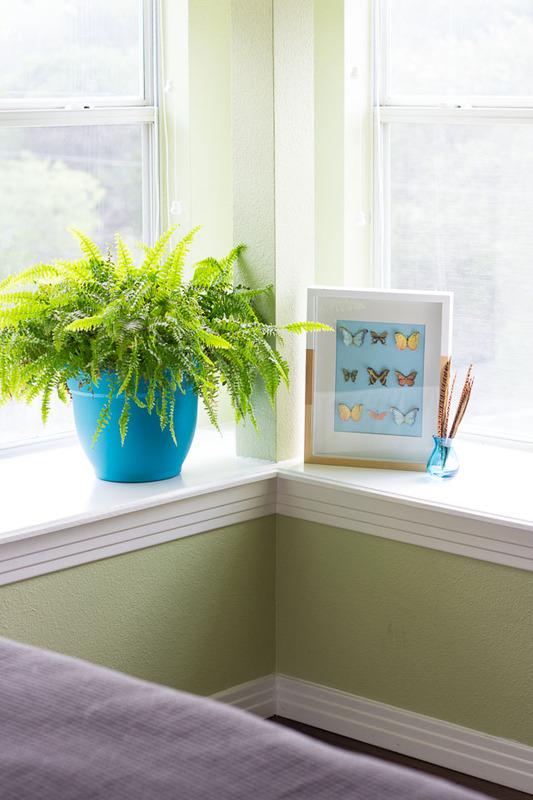 The decor in the room is a mix of vintage butterfly specimens and framed book pages, my DIY butterfly art (below), some gold dipped feathers, and a fern plant. This little set of drawers from Pier One used to provide extra storage in our bathroom. 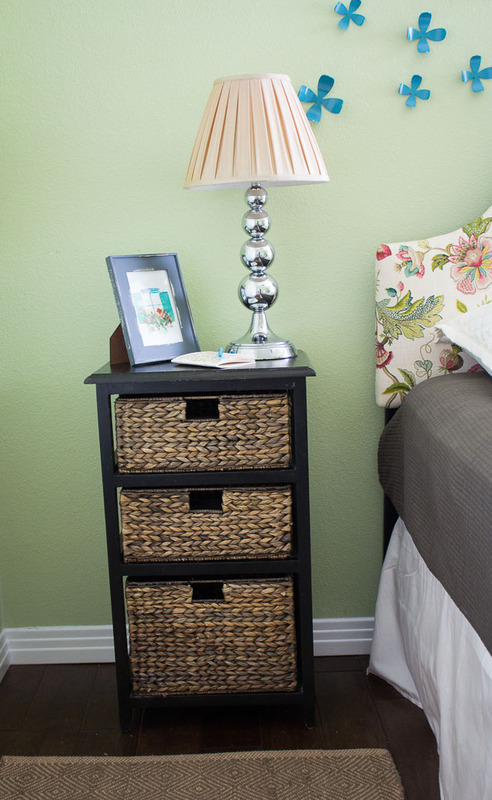 It works great as a nightstand and the woven drawers add a nice natural texture to the room. This pretty watercolor print is from my friend and fellow blogger Laura Trevey of Bright Bold & Beautiful blog- you can check out more of her watercolors here! 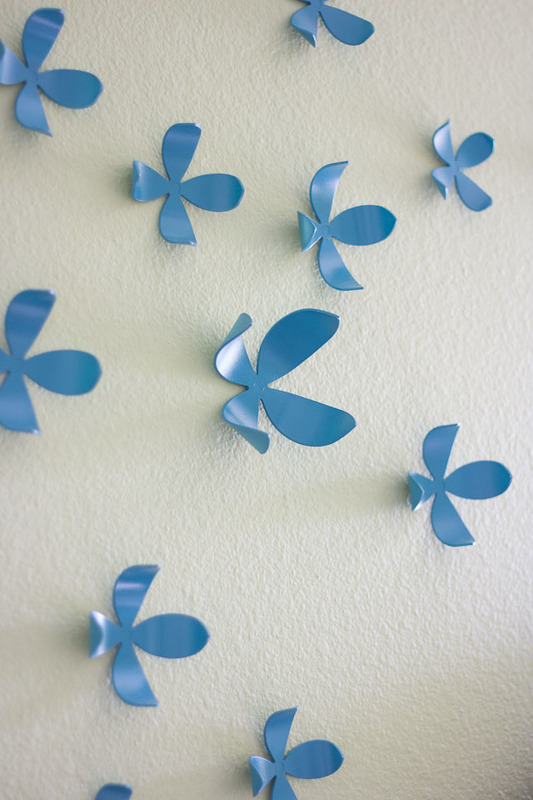 I was happy to finally use these three-dimensional flowers. They had been sitting in their box for a couple of years! They were initially white, but I spray painted them blue to coordinate with the other accents. 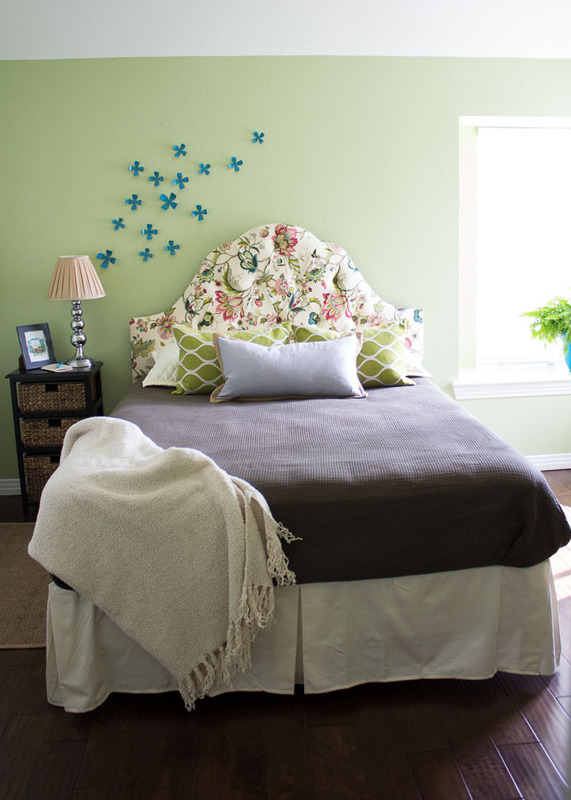 I love how they create a little flow above the bed without detracting from the headboard. So great to have this room complete! Who wants to come visit?! This post is sponsored by Home Decorators Collection. All content and opinions are my own.